LG E2251C-BN - this is a monitor on the basis of the technology of the Super Slim. 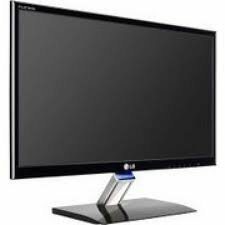 Also in monitor technology is Super + Resolution it greatly improves the quality of the output on the monitor image with initially low resolution. In addition to increasing the sharpness of this technology reduces the noise and blur, while keeping the brightness of the colors. The contrast of the display 5 000 000:1. Maximum display resolution 1920 x 1080. Monitor dimensions 449.4 x 172.6 x 356 mm, weight-only 1.99 kg.